I’ve said before that Halloween is my favourite holiday after Christmas, and I’ll say it again: Halloween is my favourite holiday after Christmas. 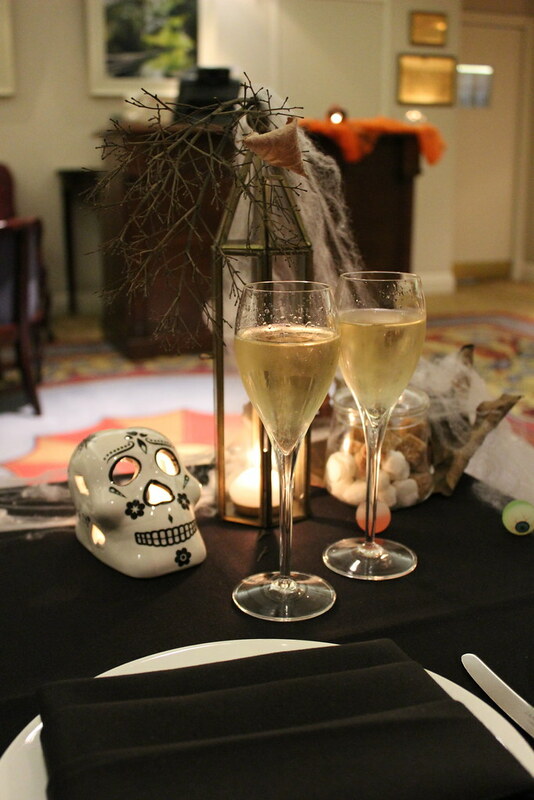 Although I love a bit of camp and cheese, my favourite kind of Halloween experience is a bit more sophisticated, so when I was asked to a press preview of Lancaster London’s Halloween afternoon tea, I couldn’t say yes fast enough. 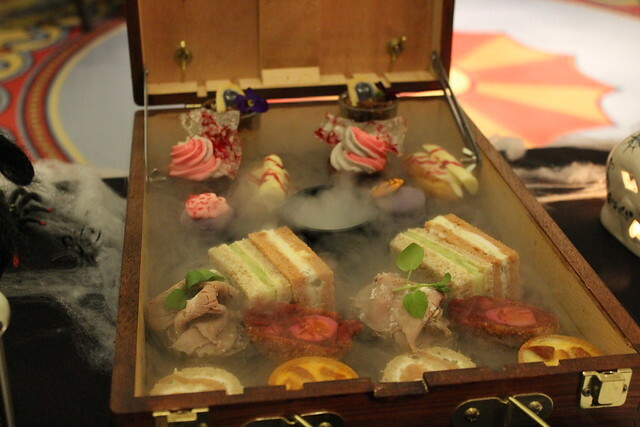 The tea is delivered in an artist’s box which is opened to reveal a fiendishly delicious selection of terrifying treats – complete with dry ice smoke. When the mist clears you’re greeted with a lavishly prepared and delicately produced selection of savoury and sweet morsels. 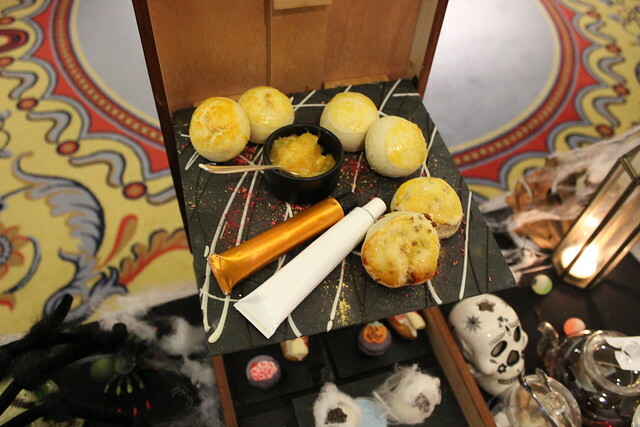 I have to say, this is the gold standard in my opinion when it comes to Halloween treats – everything is thoughtfully put together, looks amazing, and tastes even better. There are a duo of finger sandwiches – cucumber coffins (brown bread with thinly cut and peeled cucumber, carefully seasoned), and smashed egg and crazy wild cress on blood bread. My mother is somewhat of a cucumber sandwich connoisseur and declared it to be the nicest one she’s ever had. There’s also a pinwheel sandwich of salmon which has been smoked in the fires of hell – only the finest salmon for the devil it seems, because we could have eaten five of these without blinking. The quartet of sandwiches is rounded out with an open faced axe carved beef on rye, with horseradish. Finally, the savoury course was finished off with the fried until dead veggie Scotch egg. With a crispy coating, the sausage is replaced with a mixture of red veggies – I suspect red cabbage, beetroot, red onion and potato, with half a quail’s egg in the centre. 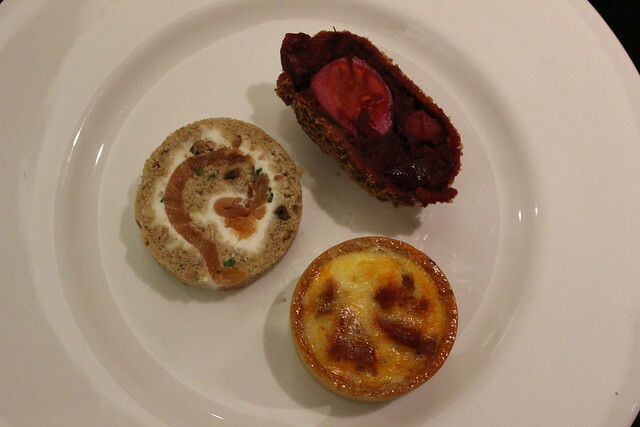 All of these were prepared so well I would have happily eaten more – and the waiter, Monir (who was an absolute star!) offered to bring us extras from the kitchen, but afternoon tea is a tricky beast and I’ve never walked away from one feeling like I could have eaten a single thing more. This was no different! 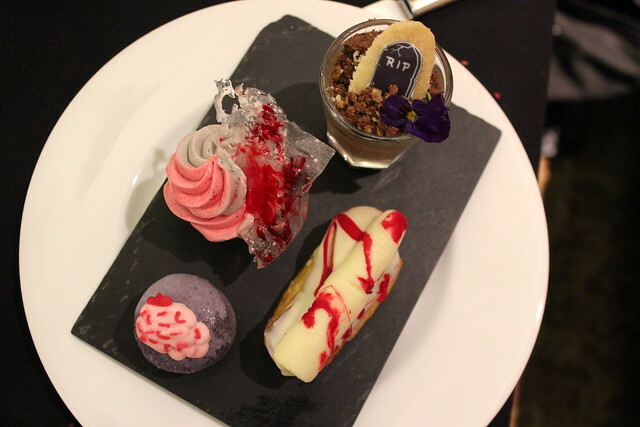 The final course is a selection of sweets; chocolate graveyard (creamy chocolate mousse topped with graveyard soil made from chocolate and oats, topped with a shortbread tombstone and dark purple viola), spiderweb lollipop (candy floss draped chocolate truffle coated with white chocolate, stuck in a shot glass of coloured sugar), shattered glass cupcakes (a shard of bloodied sugar glass, a chocolate cake topped with airy light buttercream), Frankenstein macaroons (blackberry flavour) and a bloodied finger eclair (with white chocolate and creme patisserie). It was difficult to say which was the best, but I loved the bloodied glass effect on the cake, and how could you not love the severed finger on the eclair! But, what would afternoon tea be without the tea? Lancaster London serves a selection consisting of 14 blends from Novus Tea, from English breakfast to Dragonwell Green and White Pear and Ginger. The tea is served in beautiful clear teapots and comes with an hourglass to time the brew precisely according to the strength of the leaves. 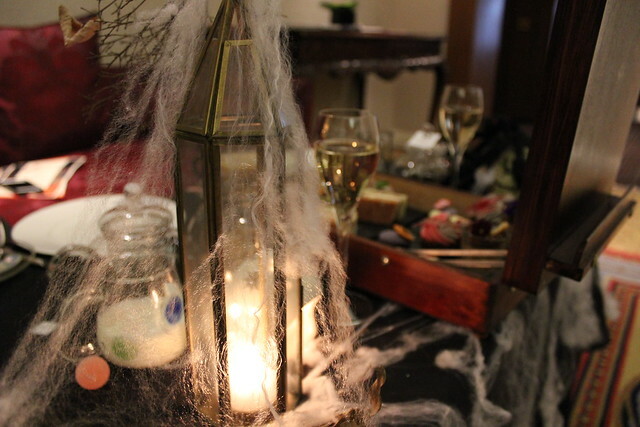 We were also plied with a glass of Pommery each, which was a thoughtful yet unnecessary bribe (actually, it comes with the champagne afternoon tea – my integrity is intact, promise), which was the perfect accompaniment to the fiendish chicanery that emitted from the kitchen. All of this was served by the wonderful waiter, Monir, who was gamely wearing bloodied chef’s whites and trying his hardest to be devilish. 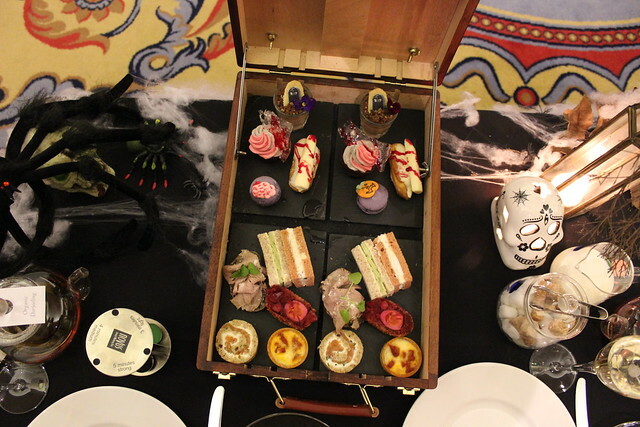 The Halloween ARTea Afternoon Tea is served at the Lancaster London from 17 October until 31 October, priced at £35 per person. 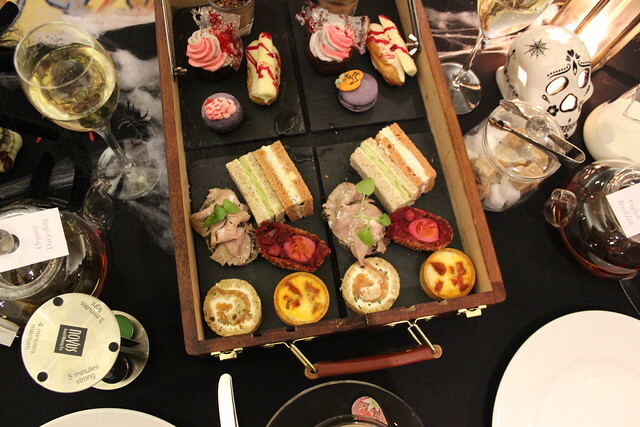 The hotel also does themed afternoon teas including their beautiful ARTea experience, where you’re served pieces of real, edible art, based on paintings on display in the lounge! 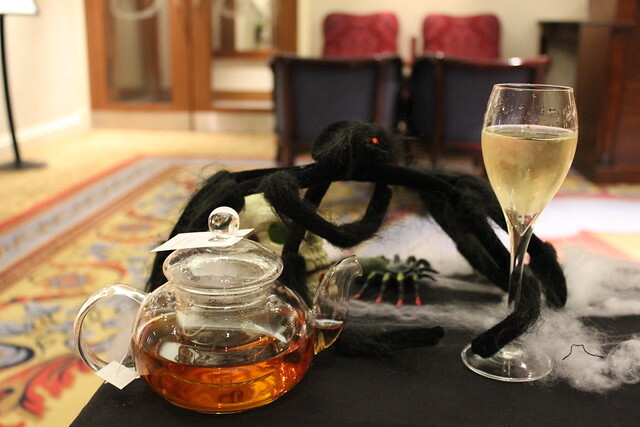 Check back at their website for more seasonal afternoon teas, tying in with special dates, movie releases and London events. Find Lancaster London at Lancaster Terrace, London W2 2TY. 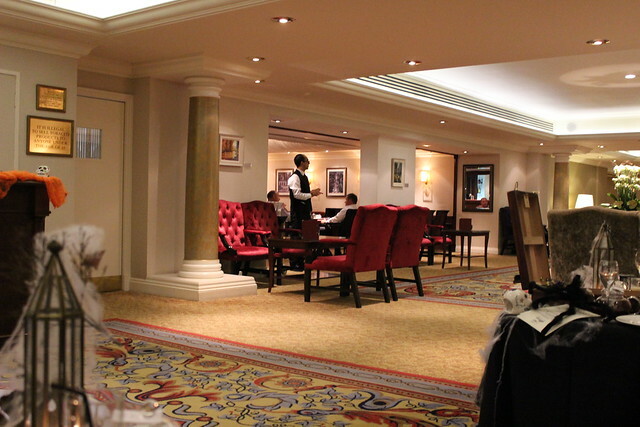 Reservations on 020 7551 6000 or visit www.lancasterlondon.com. 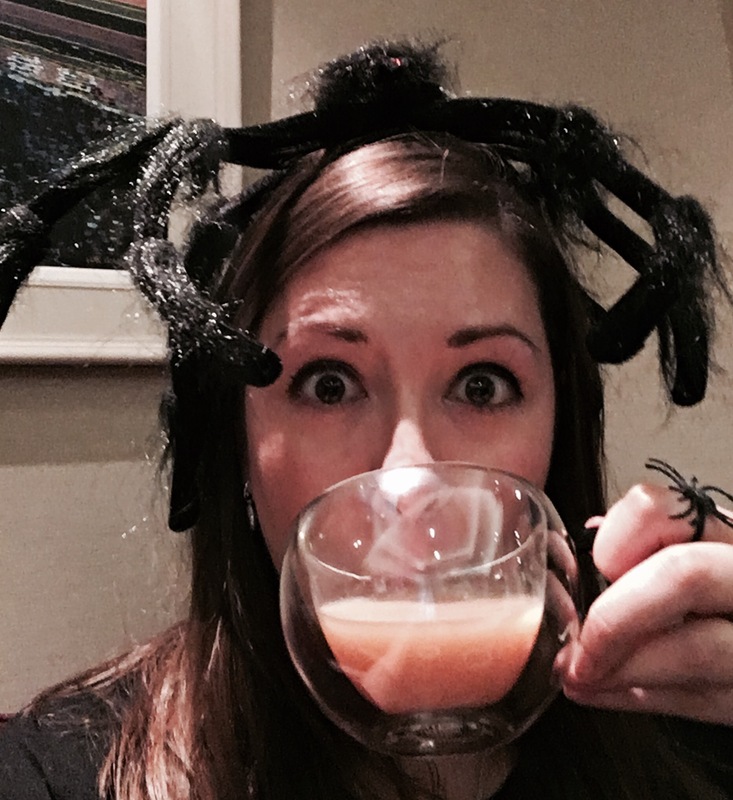 My Halloween tea experience was part of a press preview. All opinions and photography are my own.